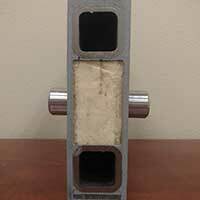 Plasti-Fab heavy-duty fiberglass stop logs have been used successfully by engineers in a wide range of applications for over 40 plus years. 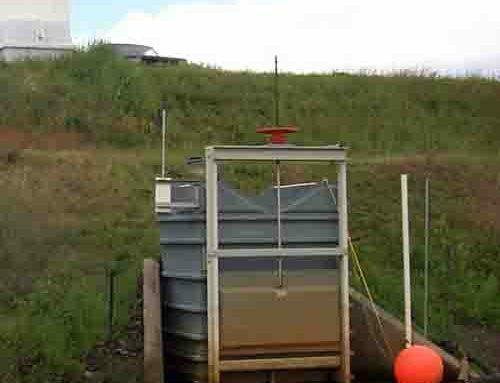 Stop logs are in service throughout the United States and overseas in wastewater treatment plants, water treatment plants, fish hatcheries, power stations, paper mills, chemical plants, and composting facilities. 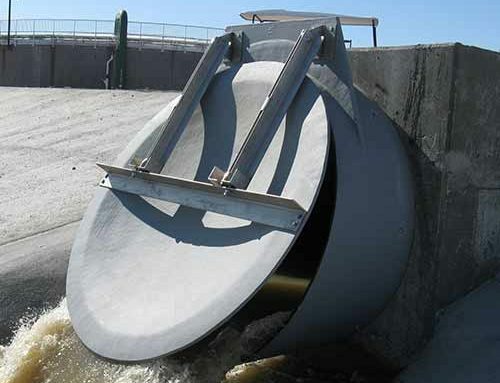 They are used for decanting in sludge drying beds, lagoon control, flood control, diversion, and temporary installation for stopping the flow for routine maintenance. 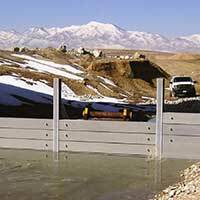 Plasti-Fab heavy-duty stop logs feature a unique seamless construction that fully surrounds an internal structural skeleton. This means that there are no seams, glued joints or cracks in the outer skin that can allow seepage to penetrate the interior steel support structure. Wooden stop logs were used before the 1900’s, so why not today? Wood swells as it takes on moisture, and the ends are thus easily damaged. 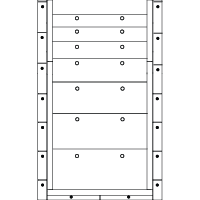 Usually, wooden stop logs are made from old growth redwood or cypress which is a diminishing resource. Metal logs (stainless steel or aluminum) tend to be removed from the storage location when not in use due to their high recycling value. Composite stop logs are the perfect alternative to use for a long-term solution compared to metal or wood logs. 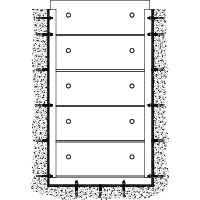 All logs are designed to match the application, limiting deflection based on width and head. 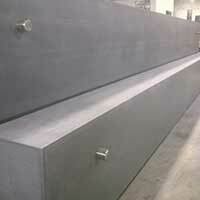 The largest we have built is 17’ wide x 3’ high x 12.5” thick. 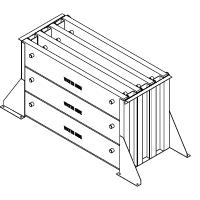 Stop logs are engineered for Plasti-Fab guide frames or for use with existing guide structures. Dual EPDM bottom seals on logs. 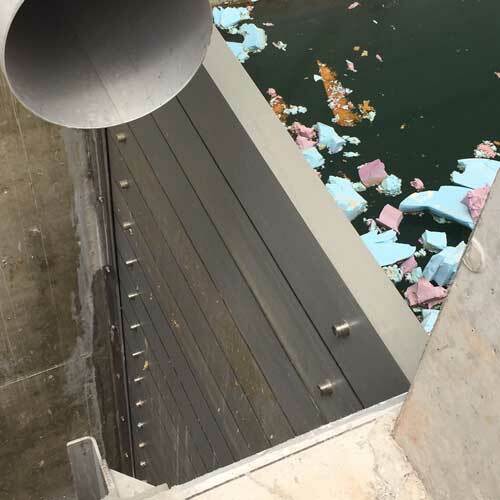 Side lip seals affixed to Plasti-Fab fiberglass copolymer logs. Seals on the log rather than on the guide, if seals ever need repair, it can be done in a controlled environment without bypass pumping and/or draining the water to access seals in the guide. 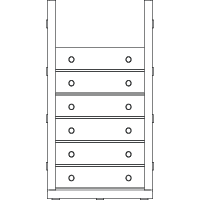 Stop log sets available with varying log heights within the set. Lifting pins assembly passes through the entire thickness of the log, completely FRP encapsulated for full lifting capacity. Stop log skin can be supplied as polyester, vinyl ester, fire retardant. 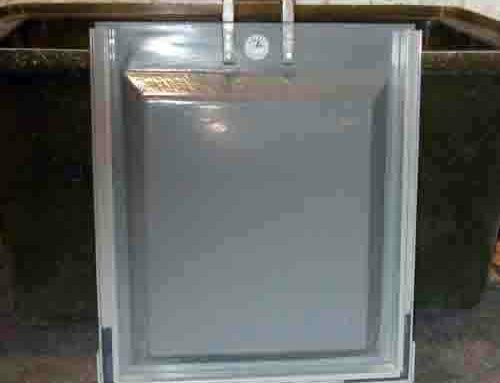 Guide frames can be supplied in T-304L or T-316L stainless steel or fiberglass reinforced polyester or vinyl ester. 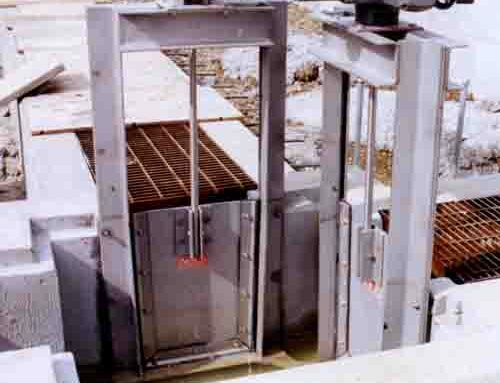 Guide frames can be embedded (poured in place or grouted into a block out), surface mounted on a wall, or in-channel surface mounted on existing channels. Lifting equipment is available, from automatic latching lifting beams to lifting poles for manual operation. Anchor with expansion or adhesive anchors. Installs on ½” grout base to allow for irregularities in the concrete wall. 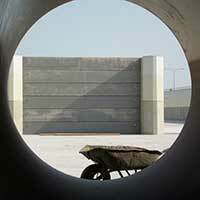 For new construction or for grouting into a block out or existing groove in the concrete wall. Anchor tabs secure the frame in the concrete or grout. 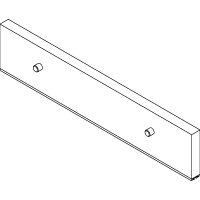 Mounting on the face of a wall over an opening or outlet. For seating and unseating head. Mounting angle for good anchoring and grout base. 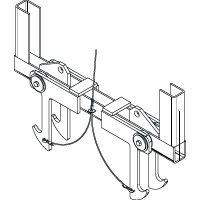 Lifting beam lowers into the guide frame and automatically latches onto the top log 1 ½” lifting pins. 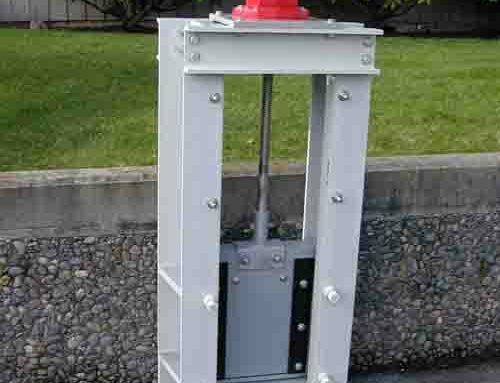 Manual lifting poles are for lighter and shallower projects. Smooth surface allows rinsing debris easily. 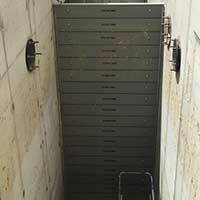 Stored without damage to seals. Custom sizes for existing guide frames. Stop logs have an FRP composite construction. Dual bottom EPDM lip seal. 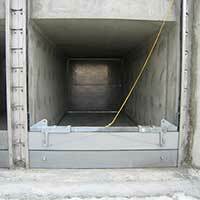 Vertical EPDM lip seal on the face of each end of the stop log (install with the seal on the downstream side). 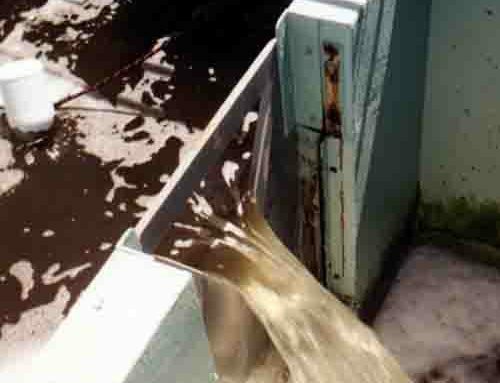 The leakage rate is less than that allowed per foot of sealing in the AWWA slide gate standards. ¼” minimum thickness composite skin with no seams. 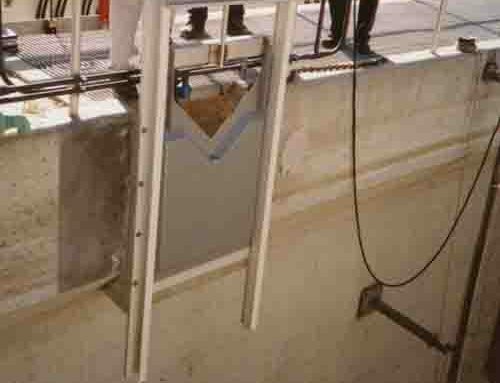 Internal horizontal steel structure to limit deflection. 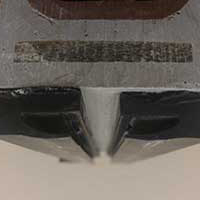 Foam between the internal steel reinforcing members gives dual skin sandwich construction integrity to the composite surfaces.